Considering the political cross currents, the S&P 500 has been acting surprisingly normal, even predictable. 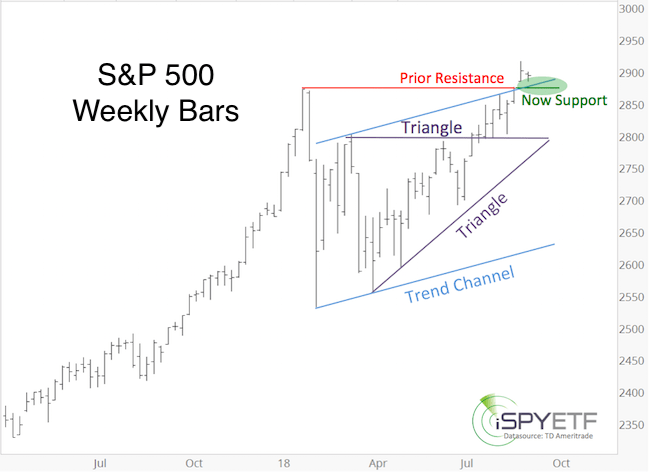 The weekly S&P 500 chart below highlights 3 different support/resistance levels. 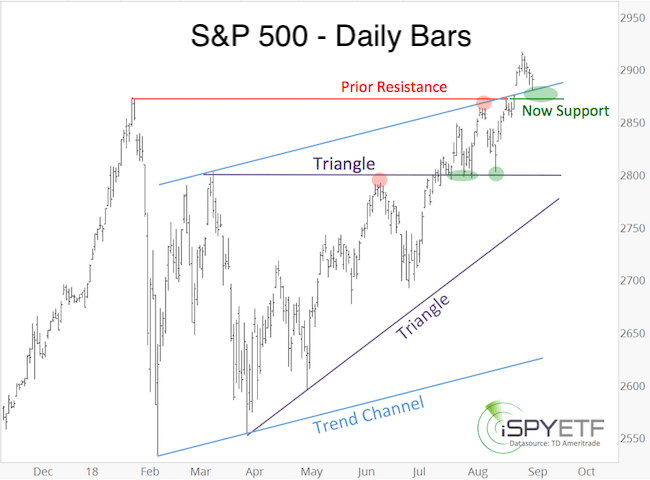 Following the breakout at 2,800, resistance turned into support, and the S&P tested (now) support at 2,800 multiple times (green dots and ovals) before moving on to the next resistance formed by the blue trend channel and the January high (2,865 – 2,875). Initially the S&P was rejected by resistance at 2,865 – 2875, this led to a test of support at 2,800. Eventually trade popped above 2,875, and made it as high as 2,916. The S&P tested 2,875 today, and as long as it stays above support, odds favor another rally leg. Sustained trade below 2,875 will put bullish bets on hold. The above analysis is based on simple support and resistance levels. 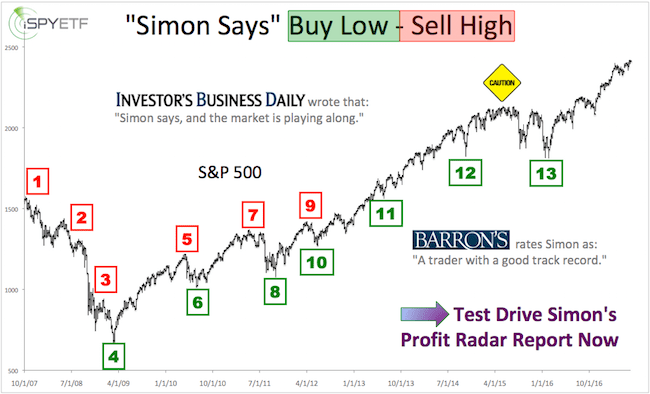 The Profit Radar Report enhances basic common sense analysis with other trusted indicators – such as liquidity, sentiment, and seasonality & cycles – to increase the odds of winning trades.